Photo Credit: Phoo Chan in Seabeck, Washington, USA. Luck happens when preparation meets opportunity. Malcolm Gladwell claims it takes us 10,000 hours of dedication before we achieve mastery. Along the way, we need to invest in quality professional tools. 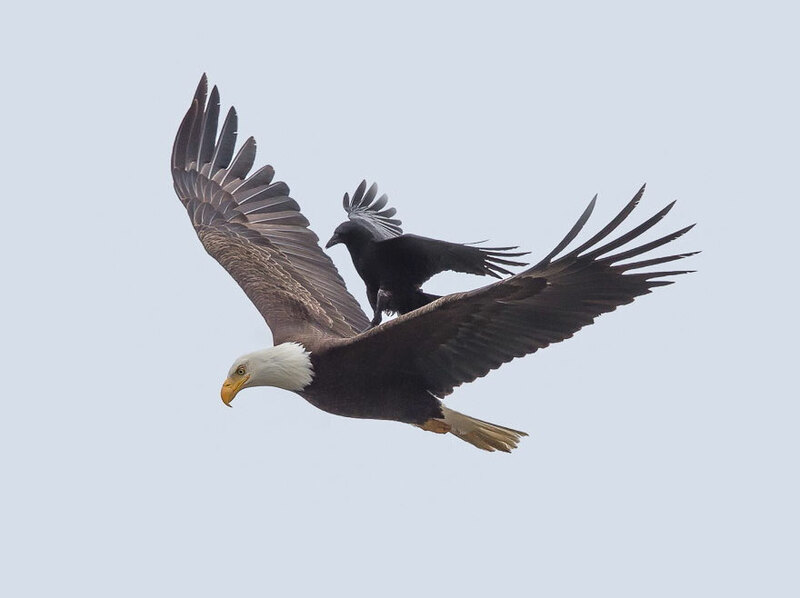 Phoo Chan was ready and had the equipment when he spotted a crow catching a ride on an eagle in Seabeck, WA which is on the Hood Canal on the Kitsap Peninsula. I am in awe. These epic photos have gone viral around the world. 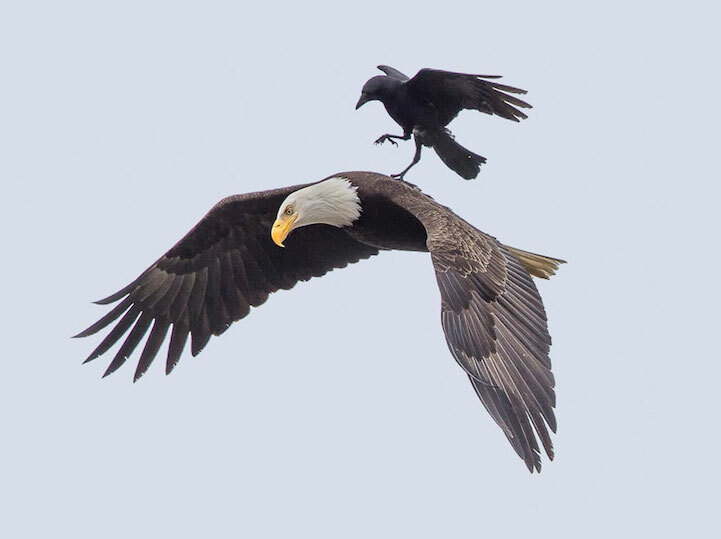 Mr. Chan’s FB page is full of gorgeous photos of birds. Yet, these are the ones which propelled him onto the world stage this weekend. 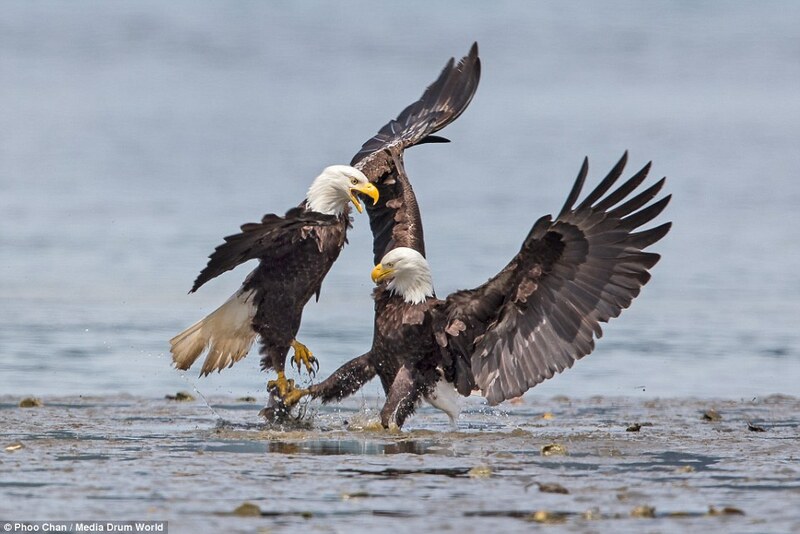 It appears that Mr. Chan took these photos of eagles fighting over a fish on the same trip to Seabeck. 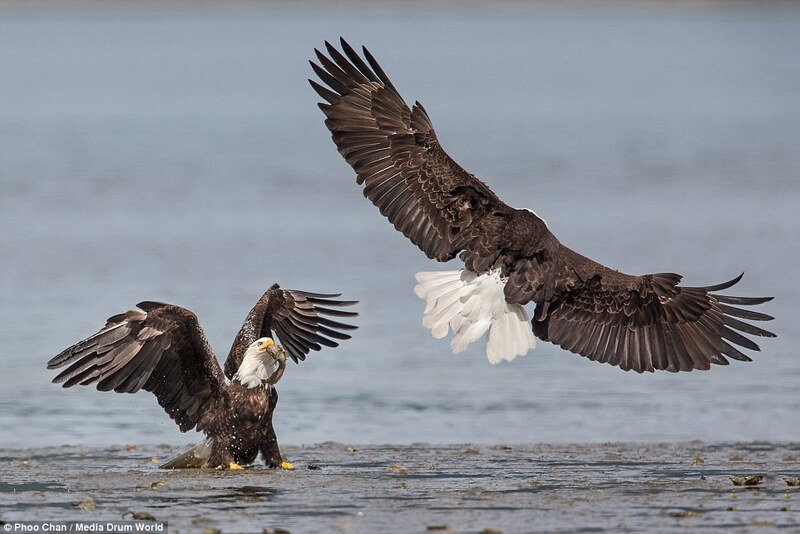 While they didn’t gain the same level of international traction, I am in awe of his ability to capture the majesty of eagles. An eagle in Hansville, WA along the Strait of San Juan de Fuca. 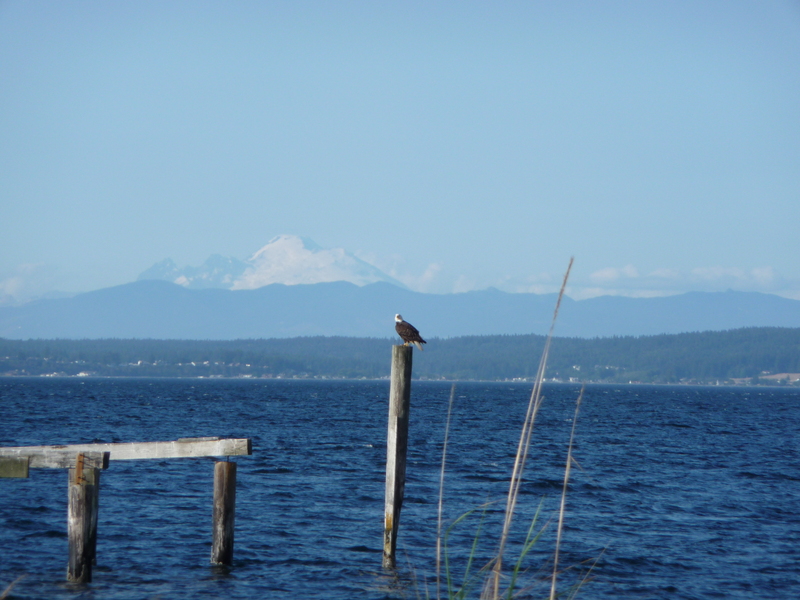 Whidbey Island and Mt. Baker are in the background. 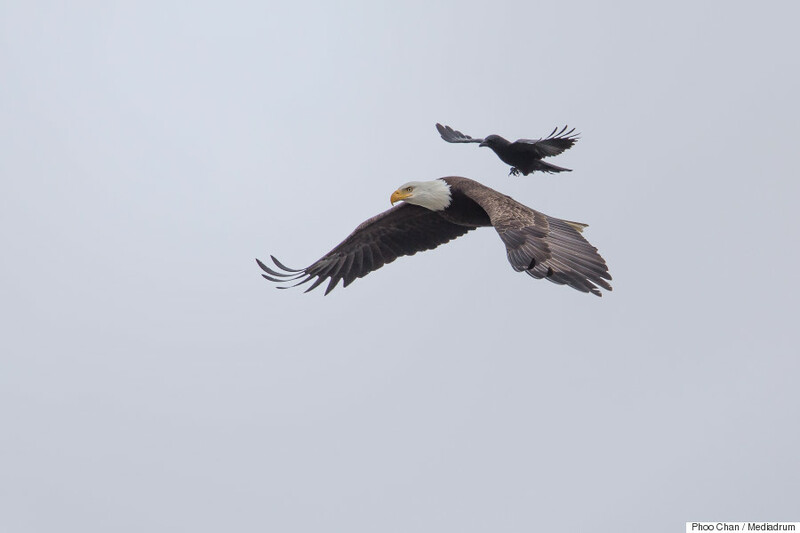 Meanwhile, this is my best eagle photo which I captured with my little 10 zoom Leica lens. Hansville is near Seabeck, and I’m debating whether a better camera needs to make my bucket list. Bravo and thank you for the inspiration, Mr. Chan!